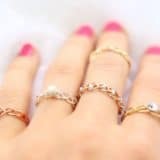 One of the most rewarding and enjoyable DIY projects must be jewelry making. 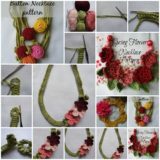 Creating something unique that we get to match to our favorite outfits and wear to our most important occasions, be it a date, a party or a shopping spree, feels very empowering! 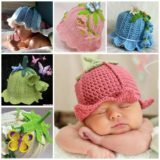 You’re able to create accessories that truly fit your vision! 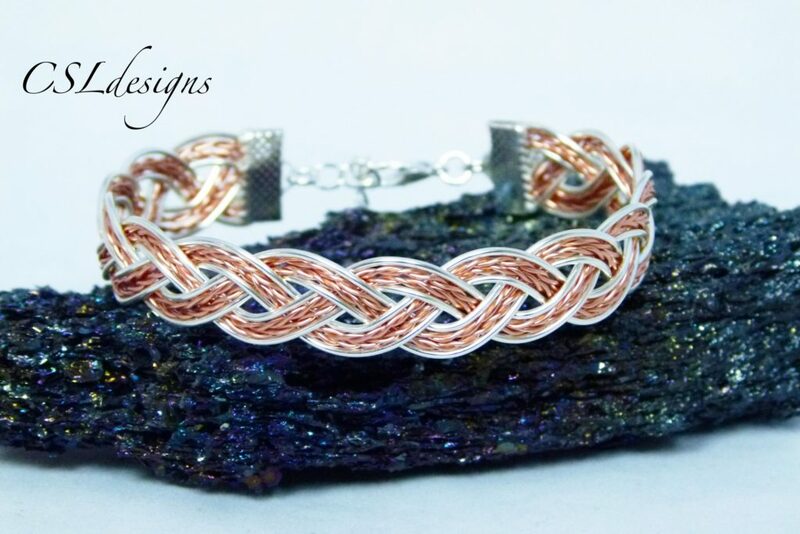 Today we’re bringing you a selection of outstanding bracelets that you can make from wire! 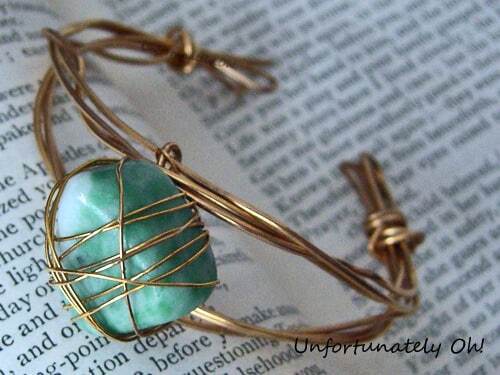 Find the most amazing DIY wire bracelets down below! 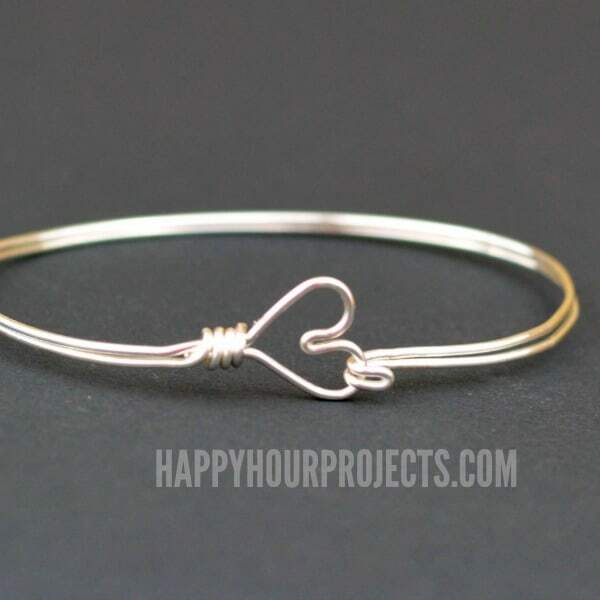 The beauty of creating with wire is that you can leave your bracelet simple and minimal. 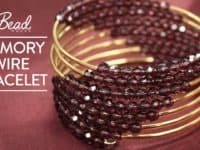 It’s perfect for those who love subtle accessories that are merely a cherry on top of a great outfit, rather than the most outstanding piece. 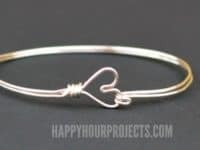 Happy Hour Projects has the tutorial for this beautiful, simplistic bangle bracelet with a heart! 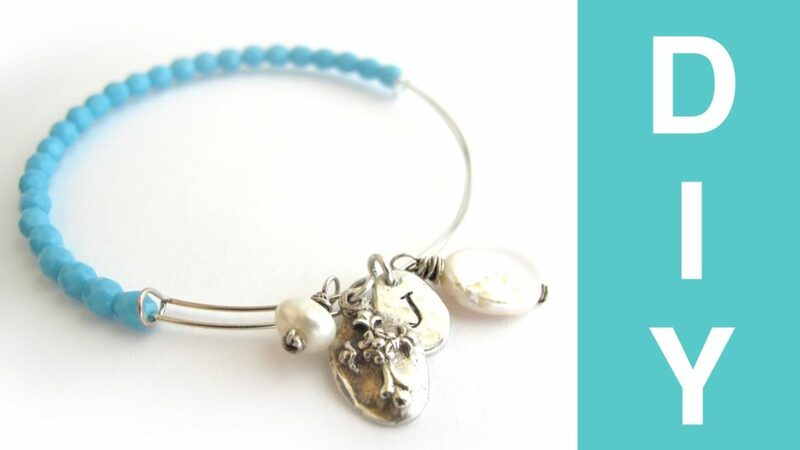 If simplicity is not your thing, Live Craft Love has the bracelet for you! 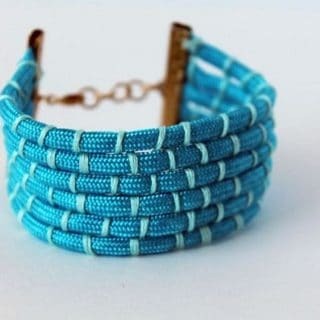 This one truly does stand out and will not go unnoticed! 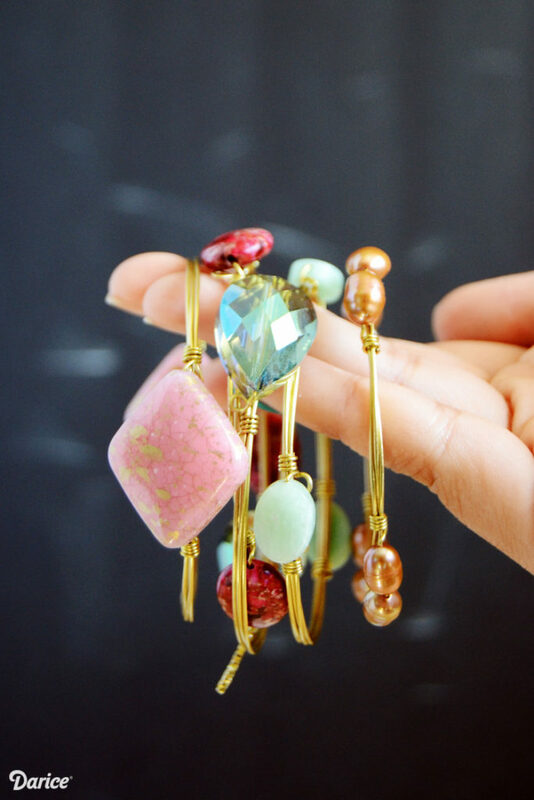 It’s a stacking wire bracelet, decorated with gemstones and any other ornaments of your choosing, giving you a touch of oriental style! 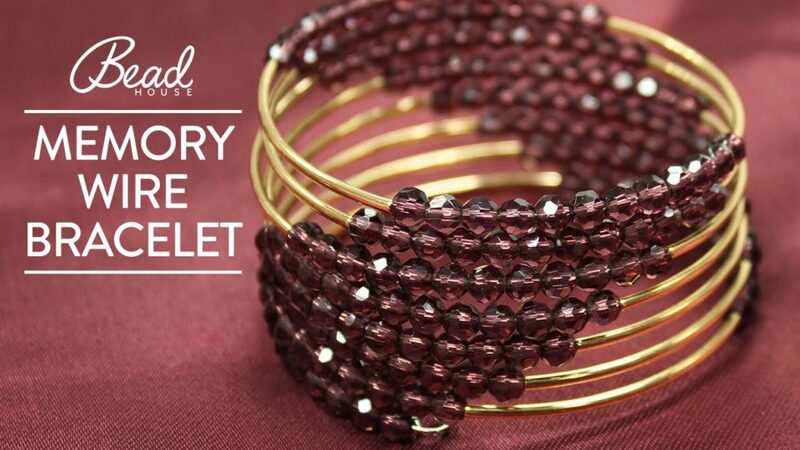 A beaded bracelet is a charming accessory that never goes out of trend! You can wear it with your favorite summer dresses or gift it to your best friend as a token of your appreciation! 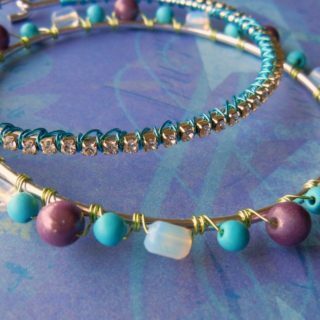 Stock up on wire and beads of your favorite color, then visit Jewelry Tutorial HQ for the tutorial! 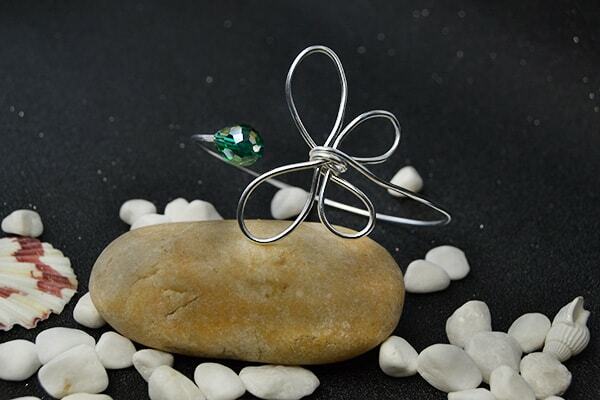 A wire gives you endless possibilities. 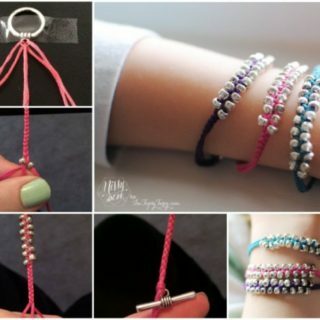 Because it’s so so easy to shape, you can create a bracelet of any style you wish! CSL Design will show you how to make a wire bracelet that is braided and a total competition to even the most expensive bracelets on the market! 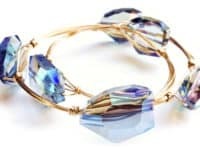 Unfortunately Oh features an incredible bracelet that is suitable for those who love crystals and accessories with a boho touch! 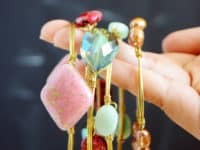 Pick a crystal that calls you the most, then wrap it in a wire and connect it to the wire bracelet. 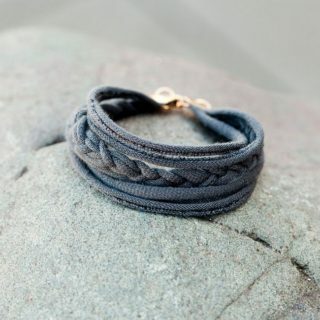 Simple, chic and powerful! 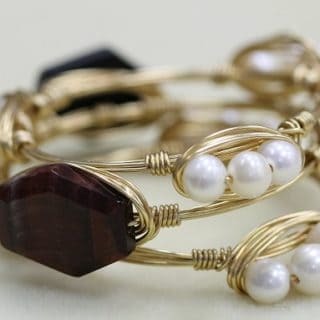 Swirly bracelets can’t help their mesmerizing look! 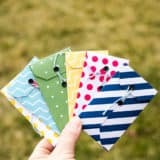 They look magnificent and are a lot of fun to make! 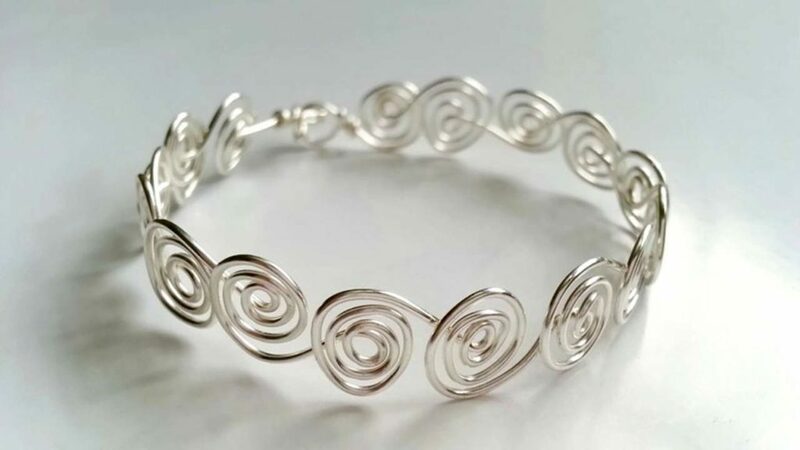 Go with silver wire to create a subtle bracelet or with golden wire for a more noticeable piece! 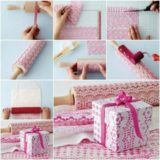 Guidecentral English shares the instructions! 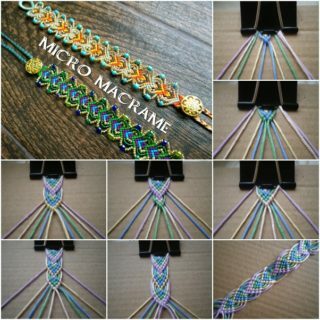 A wire bracelet that doesn’t look like a wire bracelet? 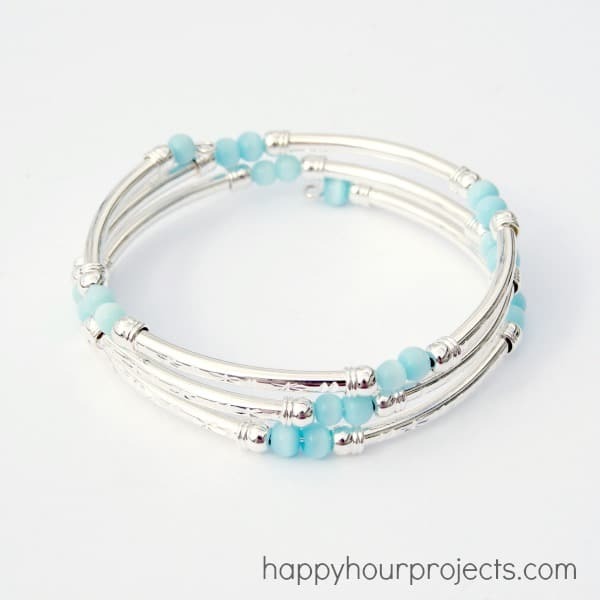 Happy Hour Projects shows you a simple trick that will disguise the wire in your bracelet and fool anyone into believing you bought it in a very expensive jewelry store! 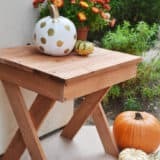 Sometimes DIY projects really surpass any factory made product! 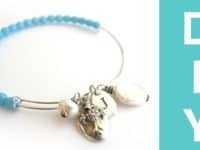 If you love big accessory pieces that have the power to define your outfit, Bead House has a tutorial for a fantastic memory wire bracelet that will blow you away! 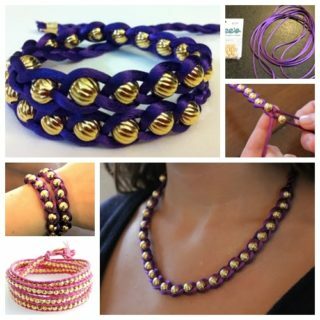 Dark purple beads are used as decoration and we’re in awe of how they match the golden wire! 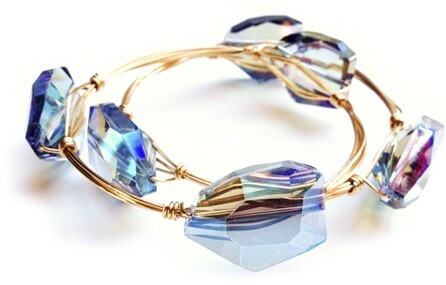 Play with gemstones to give your wire bracelet a royal look! 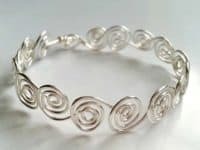 This is the kind of a bracelet that is reserved for the most special occasions, ones where it could stand out like it’s meant to and contribute something gorgeous to your gala outfit. 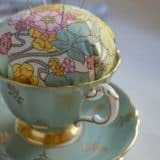 You’ll find the details at Art & Soul! 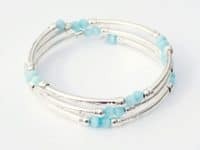 This is such an adorable wire bracelet, ideal for spring and summer when the butterflies are flying all around us! 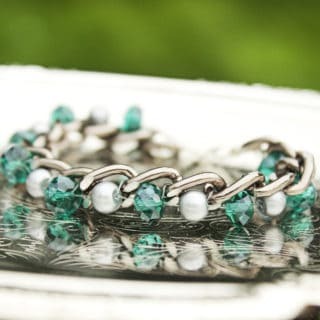 It has a very simplistic look, spiced only by the little green glass bead. 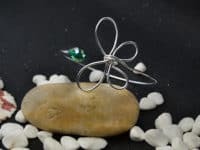 To learn how you can make this lovely butterfly wire bangle, visit Carol’s Crafts House. 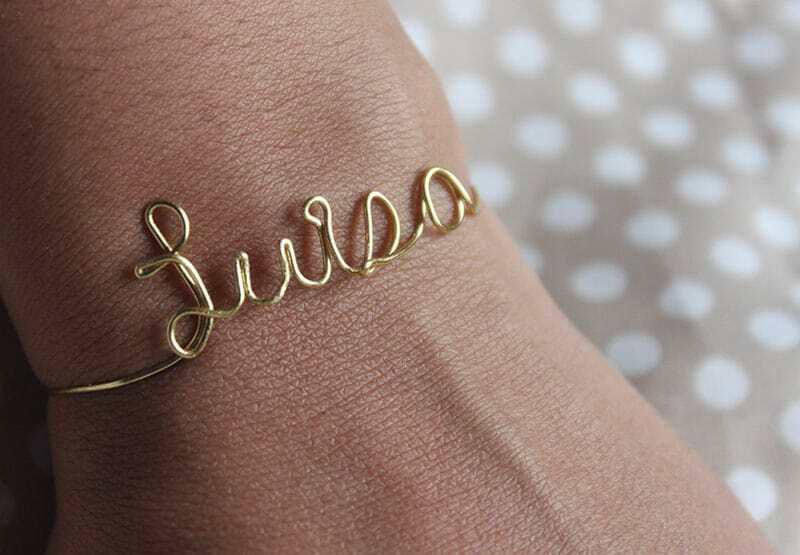 Name bracelets are evergreen! 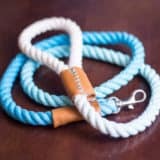 They are personal and unique, setting themselves apart form the other accessories in their ability to carry and honor your name! 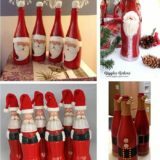 They are the best choice for a gift to someone dear to you, all you need to do is check in with Why Don’t You Make Me for the instructions! 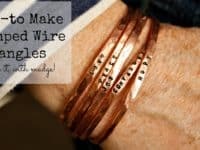 While wire bracelets often look very elegant and delicate, you can rough them up a little to get a more raw, industrial look! 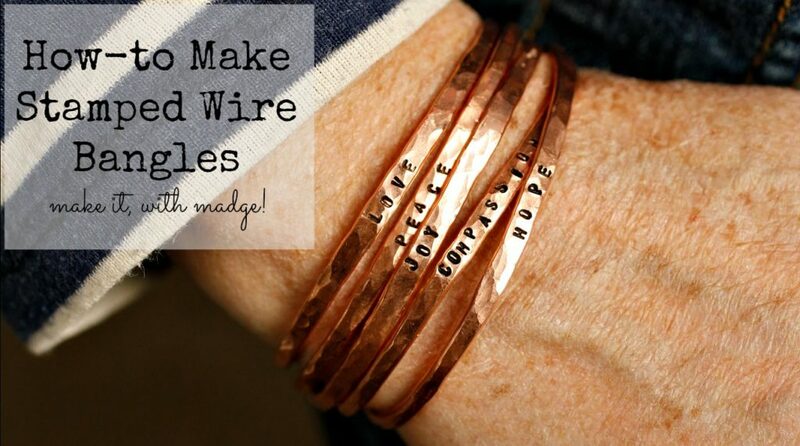 The stamped wire bangles we found at Margot Potter instantly impressed us with their noticeable copper color, drawing attention to the personal words they have engraved!